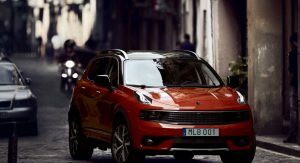 The boss of Geely-owned Lynk & Co has confirmed that the brand will only offer hybrid and all-electric powertrains in Europe. 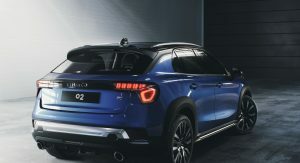 Whereas the company’s first model, the 01 SUV, is available with a petrol engine, the Chinese automaker will only bring its most efficient and environmentally-friendly mills to the shores of the Old Continent. 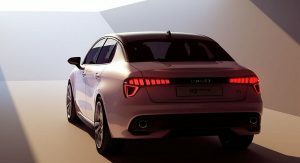 “Our European strategy has always been based on new technology powertrain, and the announcements here in Beijing today confirm that vision,” boss Alain Visser told Autocar at the Beijing Auto Show. 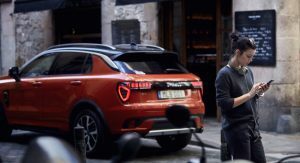 No petrol or diesel for you! 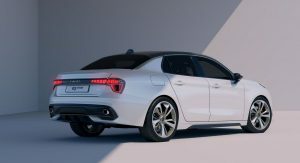 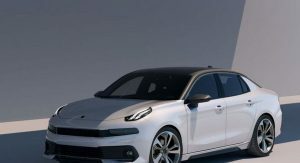 Implementing various hybrid and all-electric powertrains across its range will be relatively simple for Lynk & Co because its models, including the 01, use Vovlo-sourced platforms which were developed from the onset to accommodate such powertrains. 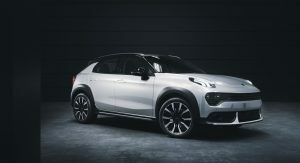 If all goes to plan, the company will introduce the 01 in Europe in 2020, shortly after production of its vehicles start in Ghent, Belgium. 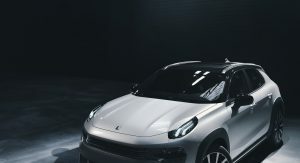 If the 01 proves successful, the slightly smaller 02 crossover and 03 sedan will also be made available to customers around the world. 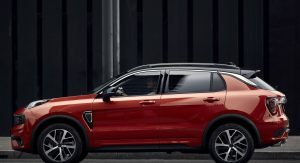 The 02 crossover is like a mini-Urus.